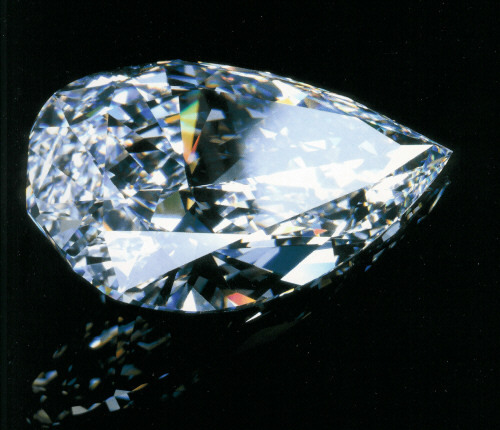 This 60.19-carat D-color Flawless diamond is owned by Robert Mouawad and was named to represent both the traditional world of the family jeweler and the new face represented by Mondera.com, the jewelry e-tailers founded by his sons. The stone was set as the center of a bra, pictured below, modeled by Karolina Kurkova. The green and pink floral pattern is actually emeralds and rubies and the total caratweight of the piece is about 320 carats. Mouawad bought the stone at auction at Christies on November 16th, 2000 for 7,159,750 swiss francs, or about US $5,358,838.